Sorry for not posting for the last few days, I’ve been ready getting ready for NEW CARPET!!! 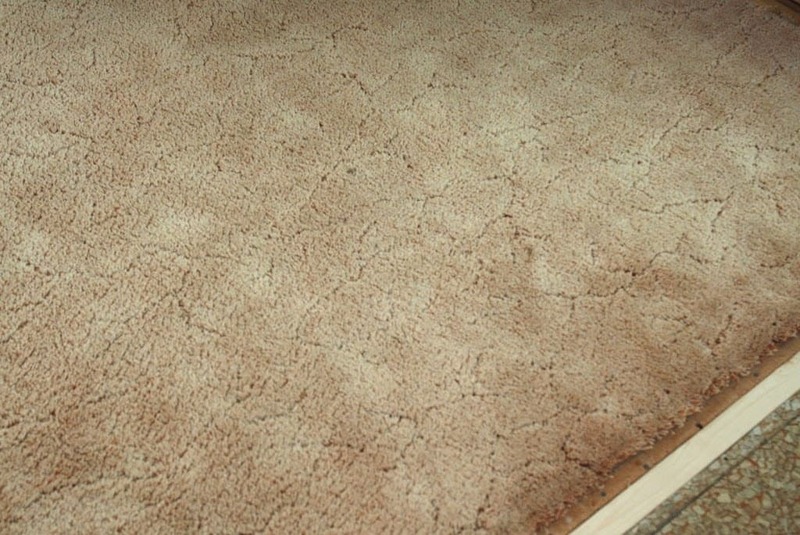 If you remember we already did the basement and the living room, but our bedrooms and hallway were still rocking the old, brown, stained, 70’s brown carpet. Now we’ve gone through a major hallway transformation! Before we could have the carpet put down I painted every inch of the trim, ceilings, doors, and walls. Check out the white doors compared to the old orangey/yellow doors! For the first time in my life I painted the ceiling the same colors as the walls. I’m in love. The hallway feels so much bigger! It is SO much better than the dirty,handprint filled white walls. Along with painting everything I switched out the old school doorbell, installed a new digital thermostat, and switched the outlets and switches from cream to white. What a transformation huh?? With our back hallway complete, this is now the second, and second smallest “totally complete” space in our house! 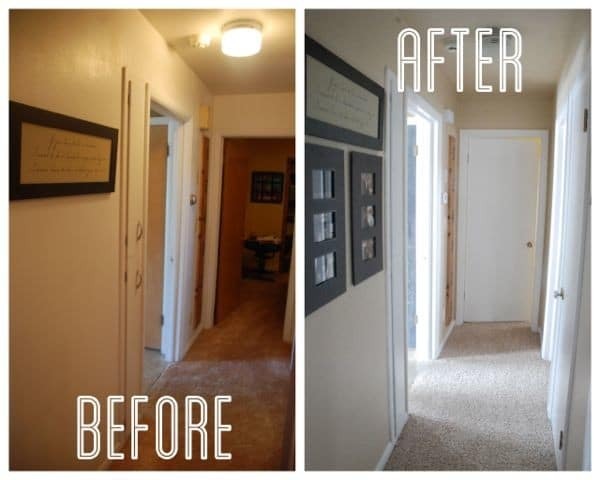 The hallway transformation puts the rest of the house to shame! 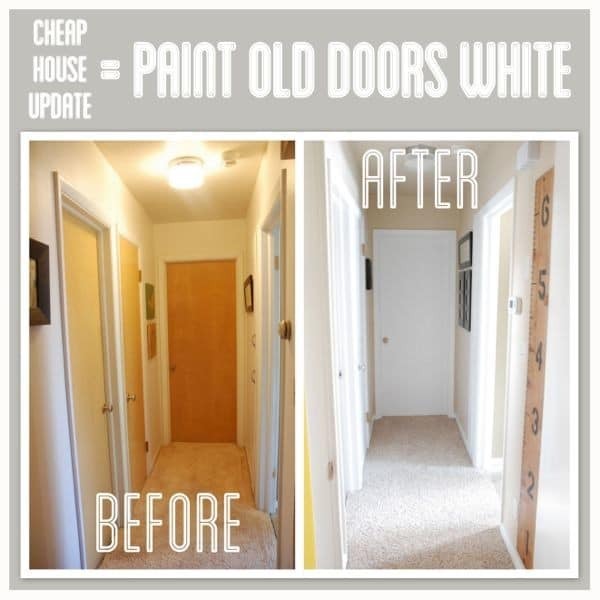 **Update** To see how we finished updating this house and flipped it check out this post. Hello there! Just bought a house and the upper floor has all brown trim and doors. Bit of sheen/gloss on the trim. What did you use to paint your doors? 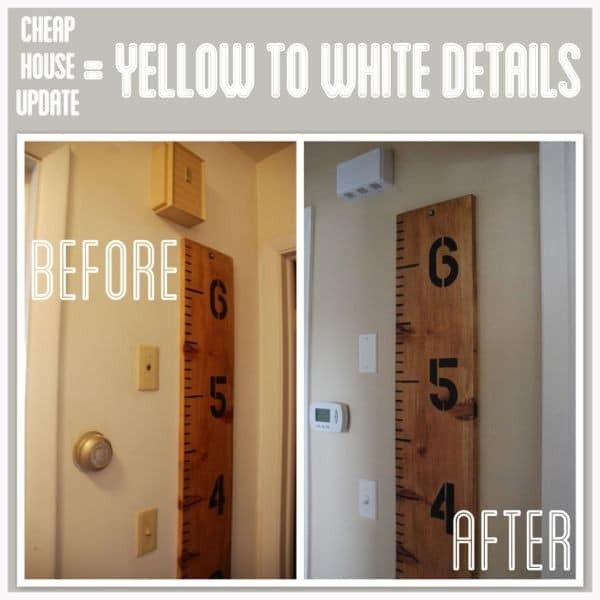 Did you sand first, oil based primer so the grain doesn’t bleed through the white paint? Would love to know! Thank you!